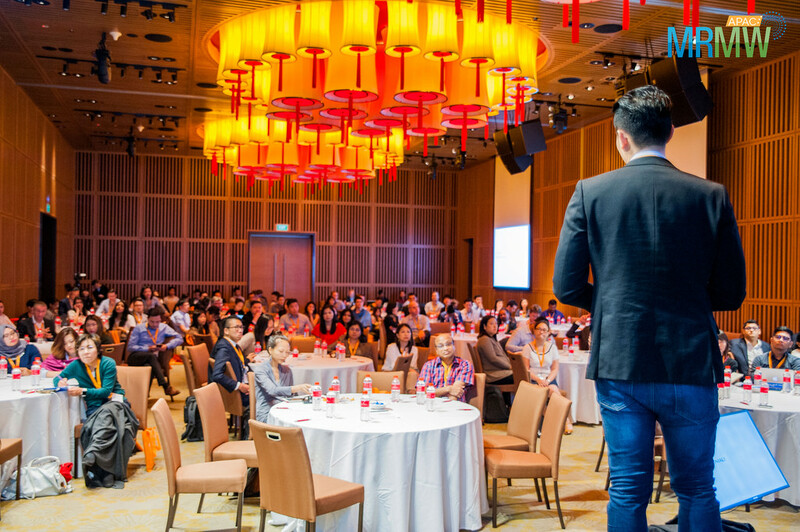 In Singapore this June, thousands of market research professionals will meet to discuss “The Rise Of Digital Disruption” at the annual MRMW Asia-Pacific conference, addressing the latest in mobile, innovative and high-tech marketing research. How can traditional brands and agencies reinvent their marketing? What new strategies are required in market research? And where in this fast-changing landscape should firms look for consumer insights? To answer these questions, Carlos Hernandez Jr., Head of Insights for the Asia region at Abbott Laboratories and Elizabeth Parsons Morgan, Co Founder and SVP Marketing at Market Logic Software will share how the company uses its powerful insights platform to address digital disruption. Whether overcoming segmentation to unify and store knowledge, or generating insights in seconds instead of hours, Carlos and Elizabeth will lay out how the Abbott Insights Hub delivers massive organizational efficiencies, including saving 60,000 hours a year in searches alone. We caught up with Carlos and Elizabeth Parsons Morgan to discuss their thoughts on digital disruption and their hopes for the upcoming conference. The core message is how a digital solution was developed to enable researchers to extract maximum value from past research. There is a huge amount of value gathering dust on digital shelves in shared drives and goodness knows where else. It’s like people have an encyclopedia that they never go to, never open up, never read. This solution is like a powerful search engine for insights that helps you do that. We chose the topic because of how relevant it is for industry-side manufacturers to develop a system that changes the way people work, so they can extract maximum value from their past research. That means both sharing knowledge across an organisation and making it easier to extract relevant information from past research, so it can be done in minutes, not hours. What motivates you to attend MRMW APAC and what are your expectations? If you share best practice across the industry you receive as much as you give. It’s great to share this with other colleagues in the industry, and it will be great to get their feedback and hear their contributions and ideas. There is a lot of talk about the current state of MR – would you sum up the current state of market research? There is huge disruption. Market research tracks how people make buying decisions, and every aspect of that is changing. When people no longer go to a shop and just buy online, how does market research track their motivations? Yesterday I was in the cafe with a friend and they wouldn’t accept cash… The day has already come when people say they don’t accept cash. It’s amazing. With things like cashless payments and cryptocurrencies, the whole infrastructure of money is changing. I see that as one of three kinds of disruption: the way technology is changing how consumers interact with brands and make purchases. The second kind of disruption is the way the research industry itself is changing with technology. We’re looking at a future where instead of doing surveys, you use artificial intelligence to scan the internet and bring out intelligence, without asking people anything, inferring insights from social media, for example. We used to only interview in person and by telephone. Now we do it by email. That’s been a big change over the last ten years. What will change in the next ten years? The third form of disruption is the changing way we understand people’s motivations as science uncovers more and more about how people work. Behavioural economics is increasingly relevant and important to the way we understand consumers. It’s no longer so much about asking consumers what they think as it is about understanding what they feel, then using that to communicate with them effectively. It can be a struggle for clients to keep up with this fast-changing world, which is why partnerships are becoming more and more important. It’s no longer just about having an agency come in with some report. It’s about finding partners who have expertise in specific areas, particularly in those areas of technology that are changing the way we do business. Agencies working with artificial intelligence, for example, are able to come with solutions that are really game-changing for clients. So, first, researchers need to engage with all of this disruption and stay up-to-date with new methods, by embracing cloud technology, for instance. Then they need to develop expertise to become partners to their clients and help businesses navigate this emerging, complex world. Clients need this expertise because manufacturers are not changing all that quickly. Agencies, especially more established agencies, need to provide it because technological innovation has meant that the cost of entry to the market research sector is not as high as it used to be. We’ve seen the emergence of a number of very small agencies, some of which are really successful. Then there’s all the additional data researchers have to work with. I’m like a hoarder with data. I love having lots of it. But you can have so much of it that you don’t know where to start, and that’s where a partner like Market Logic is really important. The Abbott Insights Hub, which is powered by Market Logic uses artificial intelligence to navigate through that complex data. How do you think technology and market research will come together in five years’ time? They are already coming together and they’re going to come together more and more. This is inevitable, so researchers really need to be on top of their game. It’s no longer just going to be about traditional market research, it’s going to be about understanding technology and digital as an essential part of the job. This is not the future. This is the present: the cost of neuroscience is coming down; people are already using face-recognition technology to do surveys; artificial intelligence is causing big disruptions. You can now task a machine to analyze vast amounts of data across all published material. These are areas where the market research industry itself is going to change. There could even be a future where we don’t really do surveys anymore, but deliver insights through developing models and algorithms instead. Join Carlos and Elizabeth on the 27th June, from 1.35 pm – 2.05 pm in the main room at MRMW APAC 2018. If you are interested in joining the conference, then don’t wait any longer! Reserve your seat now!